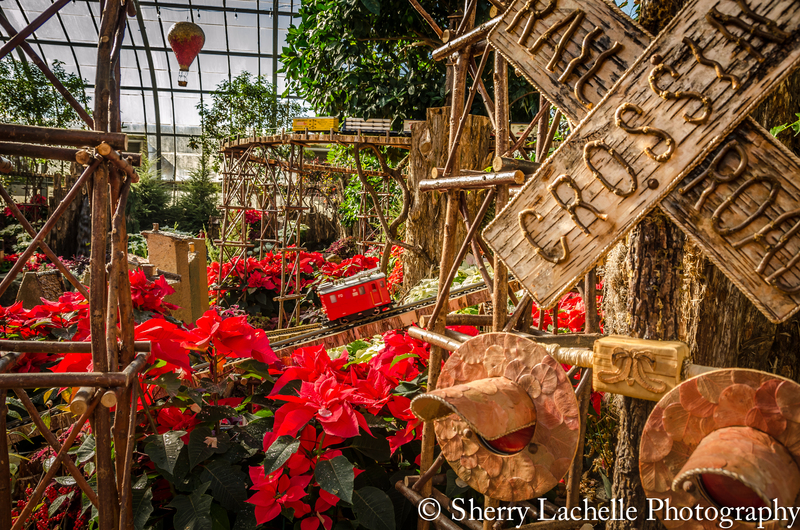 The Krohn Conservatory Christmas Display in Cincinnati, Ohio is simply beautiful! As I watched small children running from display to display, I felt like one of them, excited every time I took a photograph. I almost tripped a few of them as I was running from spot to spot! 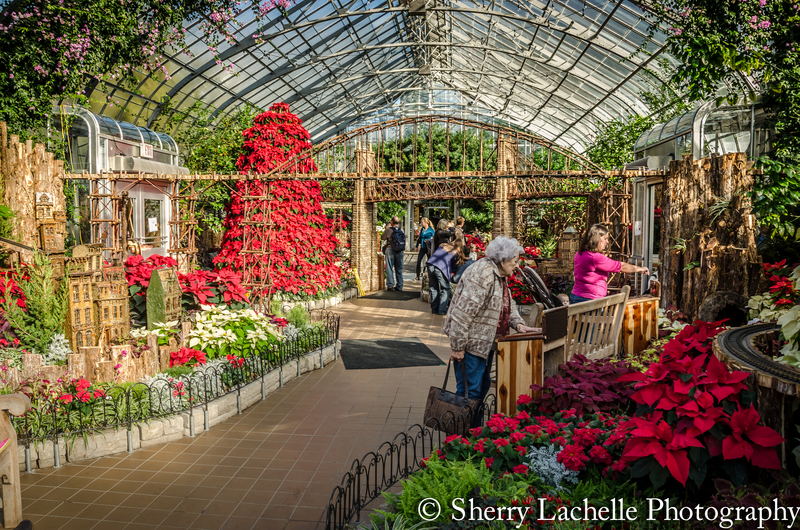 Poinsettias were everywhere! Here’s the John A. Roebling Suspension Bridge that spans the Ohio River from Cincinnati to Covington, Kentucky. Mr. Roebling also designed the Brooklyn Bridge in New York City! The colorful and intoxicating display of flowers and plants was almost overwhelming! Each building represents a piece of Cincinnati’s history. These buildings are the Procter and Gamble headquarters, with the Christian Moerlein Lager House in the background. I believe these buildings represent the oldest neighborhood in Cincinnati—Columbia Tusculum. There is an annual event called “Balluminaria”, that thousands of people attend to watch as hot air balloons are filled next to a man-made lake, called Mirror Lake in Eden Park. I’ve attended once and it was spectacular! 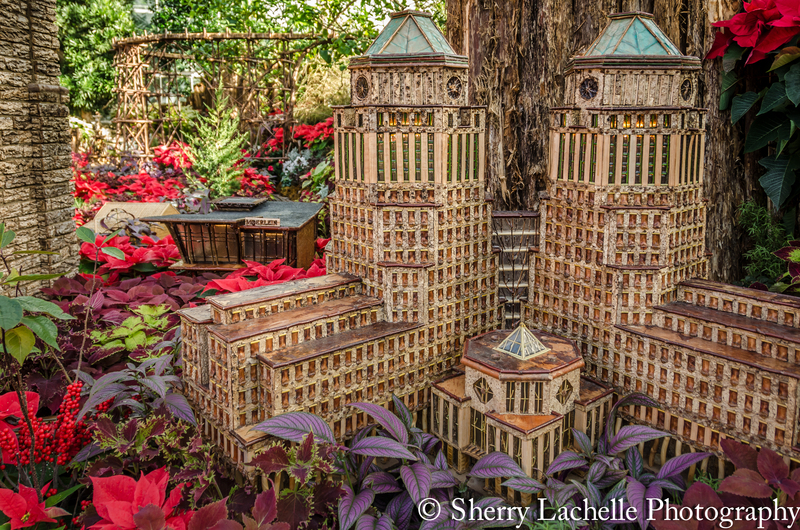 All of the displays were made out of natural materials, such as tree bark, sticks, and moss. Here’s the Great American building with its beautiful crown! And a replica of the BB Riverboats, with smoke coming from the smokestack! 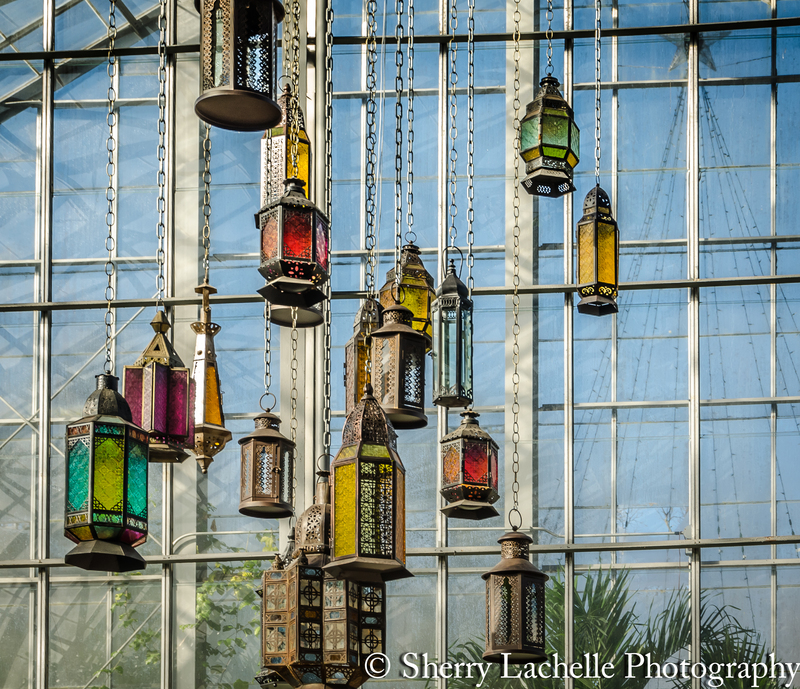 There’s a lot more to Cincinnati and I’m discovering it bit by bit and the Krohn Conservatory is one of its jewels! Astounding photography! Thank you for sharing, Sherry. And happy holidays! Thank you so much…happy holidays! I hope you don’t mind, but I posted a link to this on my Facebook page. If you do, please let me know, so I can remove it. Thanks again, though, for these great photos! That’s fine…thanks for the promotion! Merry Christmas! WOW! Once again you have blown me away with your amazing pictures! Each & every one of them are Spectacular! This display has really put me in the Christmas spirit! Merry Christmas to you & your family! Thank you so much Sherry! Merry Christmas! 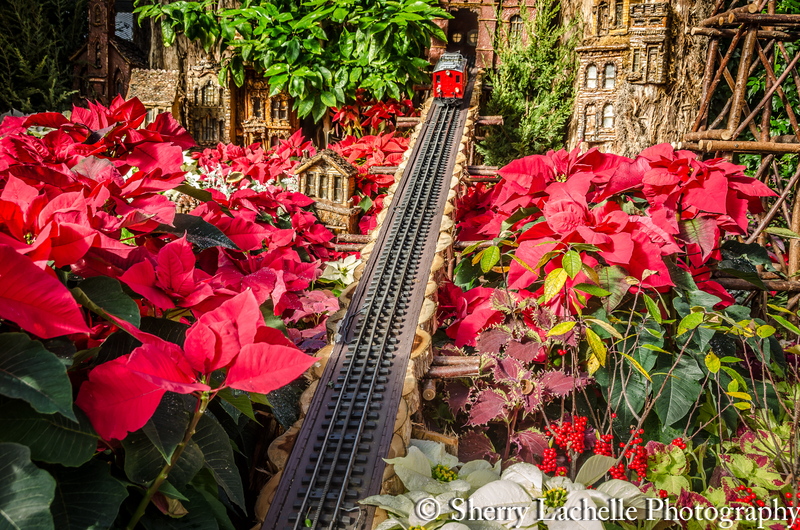 Stunning photos .. what a place to visit – if you don’t have the Christmas spirit before the visit .. you will get it for sure. 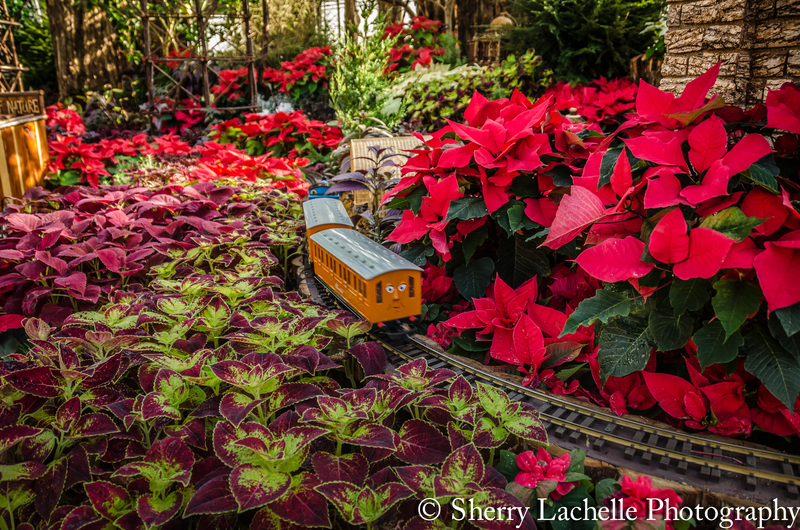 We call that red flower – Christmas Start! I just love it, but never manage to get one to survive Christmas, trying every year. 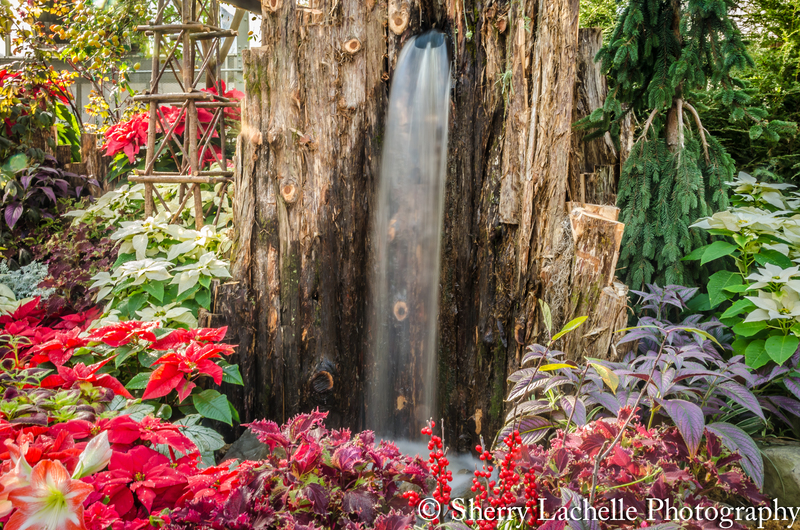 Those are some spectacular photos, Sherry! 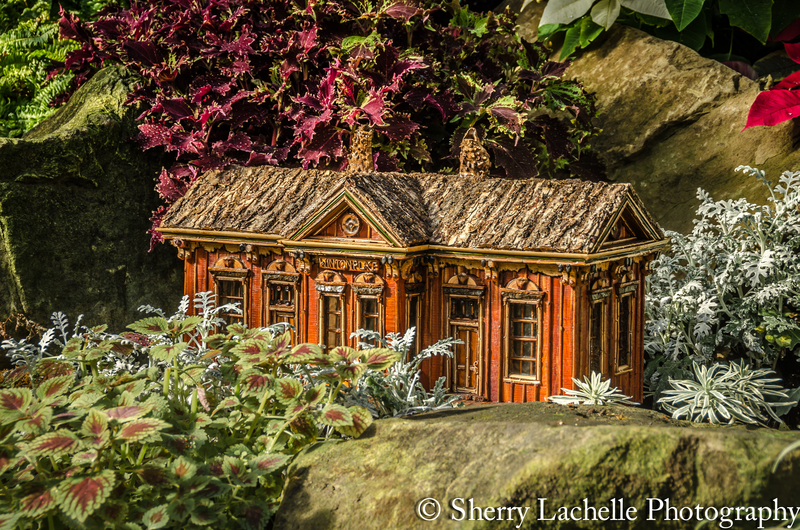 I love miniature buildings anyway, but mixing them in with the Christmas flora makes them even more appealing. Thanks for these! I’m so happy you enjoyed them! Merry Christmas and Happy Holidays! What an amazing place Sherry. You’ve captured that beautifully! Some wonderful shots Sherry with incredible colours. 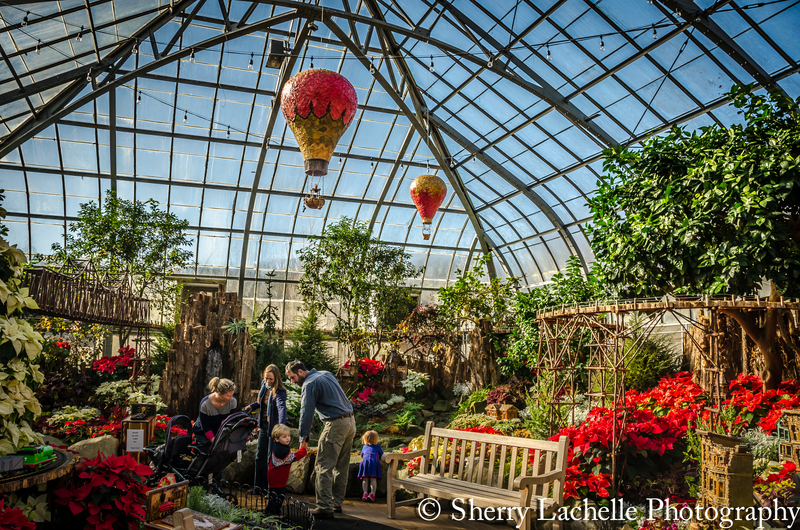 Are you shooting HDR or have you adjusted your sharpness tool? These shots almost look like you could reach out and touch them… once again… I love watching your skills create magic with each posting! Hi Steve…thanks so much! I tweek them in Lightroom 5. I really appreciate the support…makes me feel great! Merry Christmas to you and your family! Lots of bright colours here. Have a great Christmas, Sherry. Thanks Sherri…also wishing you a very Merry Christmas! I’m so happy you enjoyed it! Thank you! 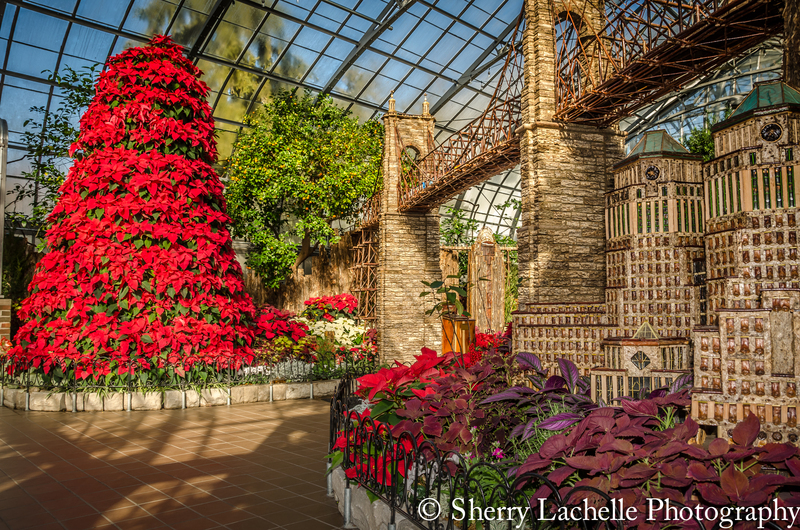 Here is another place I didn’t see when I was there…thanks for sharing…Merry Christmas. Sounds like you’ll need to come back! Merry Christmas to you also! This was a gorgeous photo op. 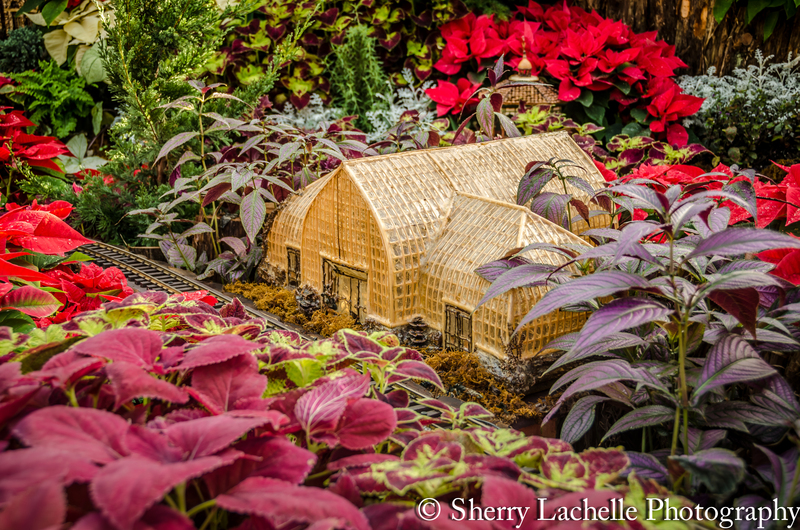 The Krohn Conservatory certainly does it up right. Thanks Michelle…gets you in the holiday spirit!